When it comes to adding an email signature to appear at the bottom of every email you write, the process of adding one differs depending on what email client you are using. 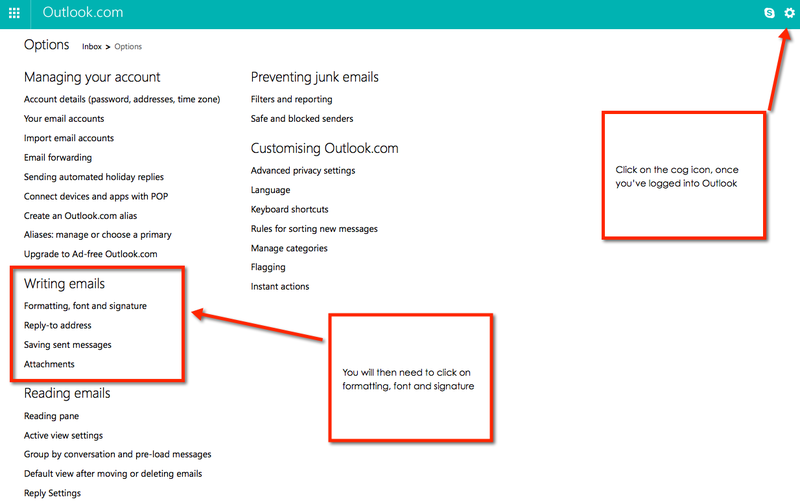 Below is a guide on how to add an email signature in Outlook, Thunderbird and our very own Toolkit Webmail. If you want an email signature designed for you, using your logo graphics, styling and more, you can take a look at our email signature service. Alternatively, you can have a go at adding one yourself, either a simple text based one or more advanced depending on how comfortable you feel using the email client settings. Login to your Outlook as you would normally and then click on the cog icon. 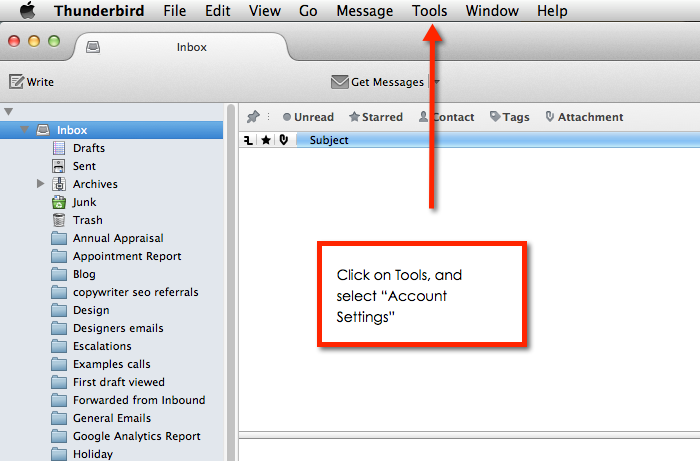 These are your email client settings. 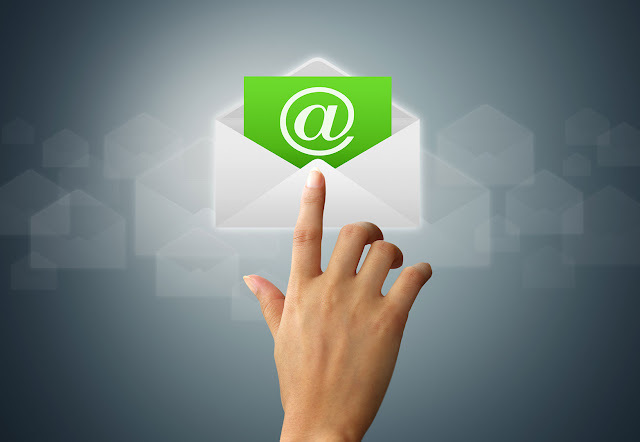 You will need to select the email signature option. Once you've clicked on this, you will be taken to a window where you can begin adding your email signature, choosing a font, size and colour. Or, if you have had an email signature designed for you, you will be able to add the HTML code you've been provided, into the box and press save. Open your Thunderbird as normal, and select the Tools menu item, and select the drop down "Account Settings." Once in there, a box will come up where you can compose your email signature or post your HTML code into the box. Then press save! 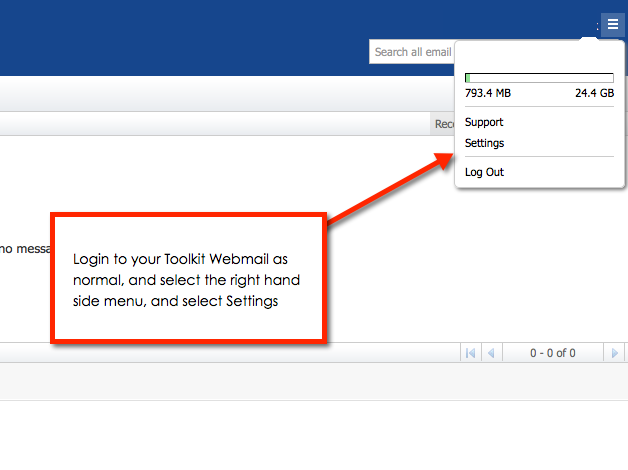 Login to Toolkit Webmail as normal, and select the menu on the right hand side, and click on settings. 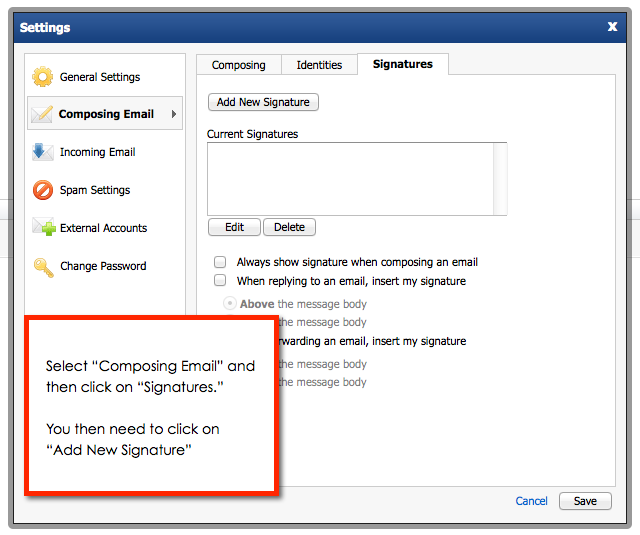 Once you've clicked here, you will be brought to a new window where you can edit an existing signature, or click on "add new email signature" to compose a new one. Once you've clicked on "Add new signature" you will be taken to a window where you can compose your email signature, or paste in your HTML code. Please note, we do not support Outlook... but if you have any questions or issues with Thunderbird or Toolkit Webmail, we'd be more than happy to help!